Parliament will again try to take control of Britain’s departure from the European Union on Monday, with some lawmakers hoping to force Prime Minister Theresa May to drop her Brexit strategy and pursue close economic ties with the bloc. May’s deal, which has been defeated by lawmakers three times even after she promised to step down if it passed, was further dented when her own Parliamentary enforcer said a softer Brexit was inevitable. Three days after the date on which Britain was originally due to leave the EU, it was still uncertain how, when or even if the United Kingdom would ever say goodbye to the bloc it first joined 46 years ago. The third defeat of May’s divorce deal left one of the weakest leaders in a generation grappling with a perilous crisis over Brexit, the United Kingdom’s most significant move since the Second World War. Underlining how uncertainty is hurting business, the U.K. head of German industrial giant Siemens, Juergen Maier, said Britain was wrecking its reputation for stability. He urged lawmakers to back a customs union with the EU. Parliament will vote on four options, ranging from staying in the EU’s single market to revoking the formal divorce papers to avoid a no-deal exit, and then May could try one last roll of the dice by bringing her deal back to a vote in Parliament as soon as Wednesday. Debate is set to end at 3p.m. ET with results of the votes expected around 5 p.m. ET. May’s government and her party, which has grappled with the schism over Europe for 30 years, was in open conflict between those pushing for a customs union with the EU and eurosceptics who are demanding a cleaner break from the bloc. May’s enforcer in Parliament — known as the chief whip — said the government should have been clearer that May’s loss of her majority in Parliament in a snap 2017 election would “inevitably” lead it to accept a softer Brexit. 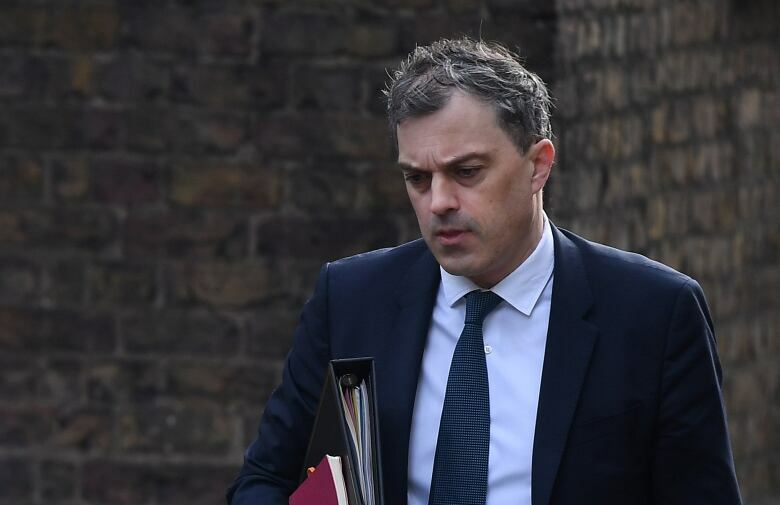 “The government as a whole probably should have just been clearer on the consequences of that,” Julian Smith told the BBC in an interview published on Monday. “The Parliamentary arithmetic would mean that this would be inevitably a kind of softer type of Brexit,” said Smith, who also said ministers had tried to undermine the prime minister. On the lack of discipline in government, he said Brexit brought “out strong emotions” on all sides of the debate. Asked about the possibility of a snap election to break the deadlock in Parliament, May’s spokesperson said the prime minister has said an election would not be in the national interest. In a 2016 referendum, 17.4 million voters, or 51.9 per cent, backed leaving the EU while 16.1 million, or 48.1 per cent, backed staying. But ever since, opponents of Brexit have sought to soften, or even stop, the divorce. The Times newspaper said May had been warned by some senior ministers that she faced resignations if she agreed to pursue a softer Brexit. 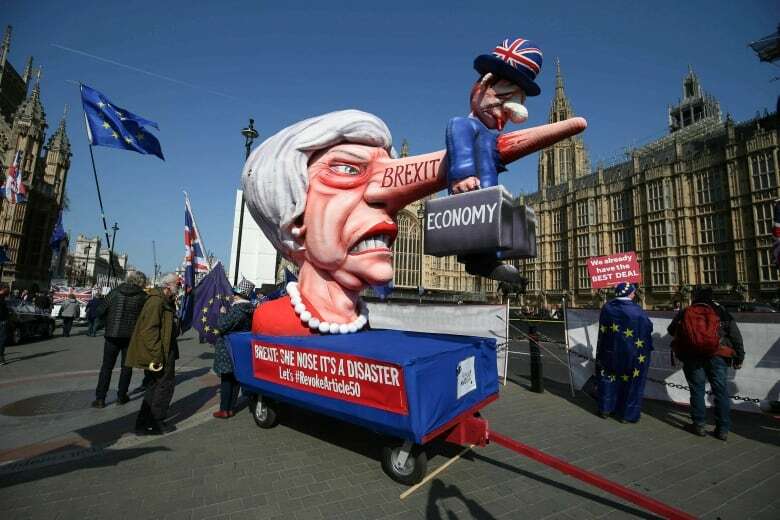 Britain had been due to leave the EU on March 29 but the political deadlock in London forced May to ask the bloc for a delay. Currently, Brexit is to take place on April 12 unless May comes up with another option. The Brexit crisis has left the United Kingdom divided: supporters of both Brexit and EU membership marched through London last week. Many on both sides feel betrayed by a political elite that has failed to show leadership. Business is also increasingly frustrated. “Enough is enough. We are all running out of patience. Make a decision and unite around a customs union compromise that delivers economic security and stability,” Siemens’ Maier said. “Where the UK used to be beacon for stability, we are now becoming a laughing stock,” he said in open letter to lawmakers published by website Politico. From EU officials watching from Brussels, there was one plea — make up your minds. Woman confirmed dead after severe windstorm hits B.C. What will the Oscars look like after a flub-filled awards season?